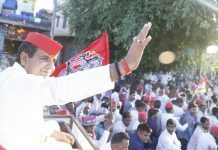 Badaun MP Dharmendra Yadav, nephew of Mulayam, blames the lack of jobs on PM Modi, lists medical college and better roads among his achievements. 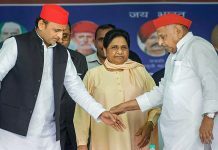 Arch-rivals Mayawati and Mulayam Singh Yadav shared the stage in Mainpuri Friday, and urged party workers to put the past behind and defeat the BJP. 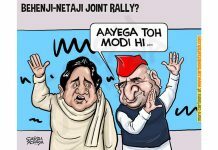 SP's Mulayam Singh and BSP's Mayawati had a fall out after their ruling coalition in UP crashed in 1995. 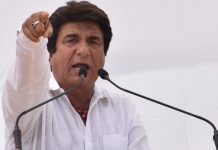 UP Congress chief Raj Babbar might to do well against BJP’s Raj Kumar Chahar, but the Modi factor is a problem. And a loss may mean the end of his career. The top court's bench comprising Chief Justice Ranjan Gogoi and Justice Deepak Gupta directed CBI to file its response in two weeks. 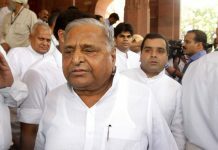 Samajwadi Party founder Mulayam Singh Yadav has represented Mainpuri thrice. The party also announced 5 other candidates for the Lok Sabha polls. 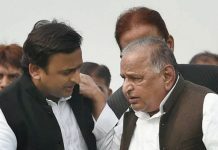 Mulayam Singh’s criticism can weaken the SP-BSP alliance in Uttar Pradesh and demoralise the party workers. 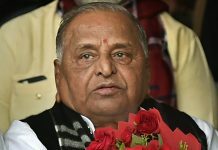 Days after wishing PM Narendra Modi a second term, SP founder Mulayam Sing Yadav accuses ‘people within the party’ of ‘destroying’ it.